For this addition to the craft distillery scene, moonshining runs in the family. 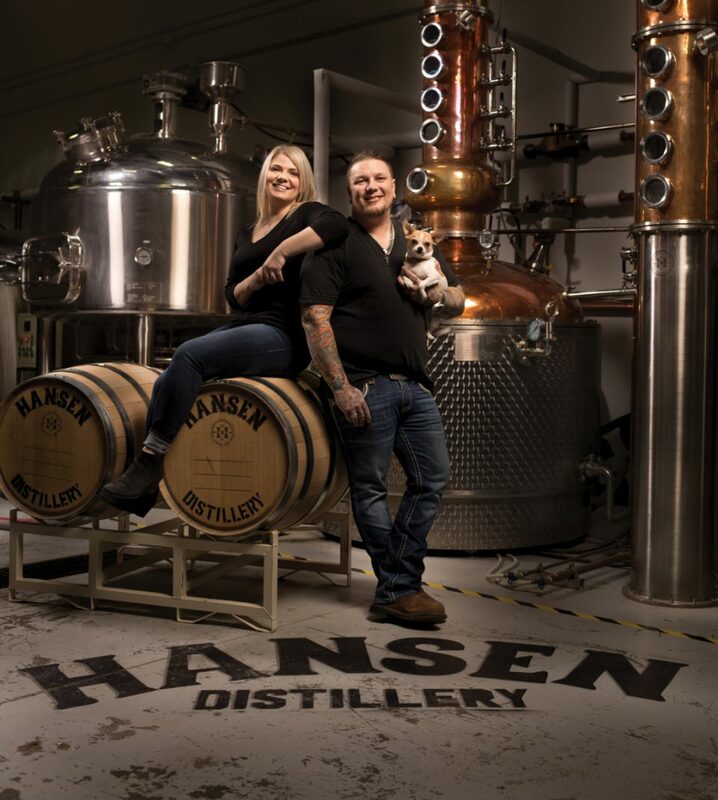 While they worked together to craft their own recipe, the owners of Hansen Distillery didn’t have to look far for inspiration. Kris Sustrik and wife, Shayna Hansen, simply looked to Hansen’s family tree and resurrected a family tradition. That moonshining tradition continued on with Hansen’s grandparents, Grandpa Bud “Hoot” Hansen and Grandma Laura Hansen. They eventually taught the family tradition to Sustrik – after they realized he was sticking around, jokes Hansen – on their acreage in British Columbia. Sustrik acquired the family moonshine still once Hansen’s grandparents retired from shine-making. Sustrik continued making it in their garage. But, before opening Hansen Distillery in December of 2016, Sustrik and Hansen owned a welding business. Hansen and Sustrik had to modify the family recipe in order for it to translate better with the bigger distilling equipment they were now using, as well as change up some of the ingredients so that it could be locally sourced. The original recipe was a sugar-based shine, explains Hansen, which called for bags of sugar. To make it more local-friendly, they switched to grain, which could be locally sourced. For Hansen and Sustrik, that meant sourcing the grain from a farm in Stettler that is in Hansen’s family. 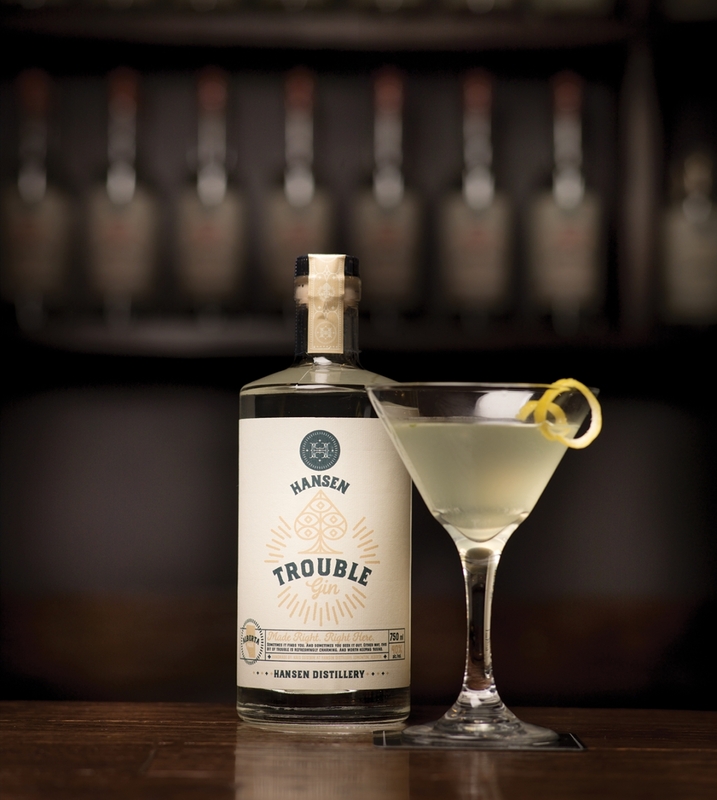 Currently, Hansen Distillery makes four liquors, End of the Line Moonshine, Barn Owl Vodka, Trouble Gin and Border Crossing Rye, which are now available for purchase at its distillery and through Liquor Connect. It’s also the first distillery to barrel Canadian rye whiskey in Edmonton but, due to the legal aging requirement of three years, its whiskey won’t be available until February 11, 2020. Hansen Distillery offers weekday tours and tastings and, in fall of 2017, will offer classes for those who want to learn the art of distilling for themselves.